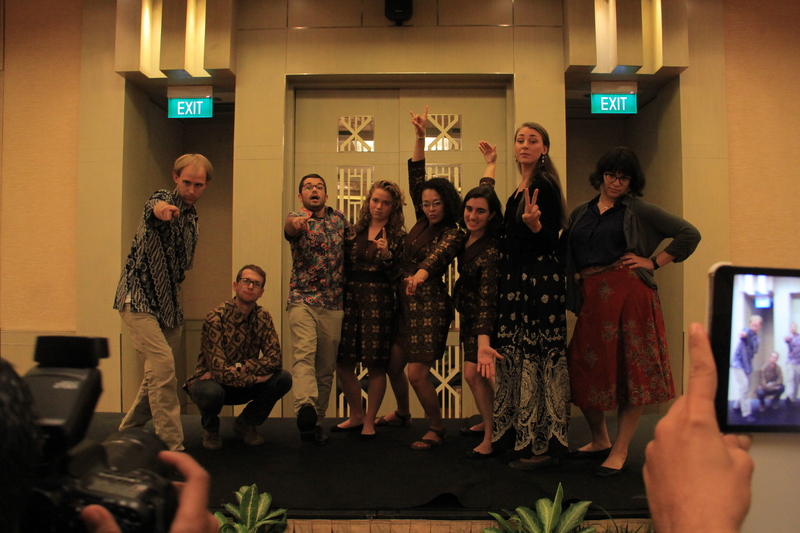 After almost two full days on planes and in airports, we arrived in Indonesia. 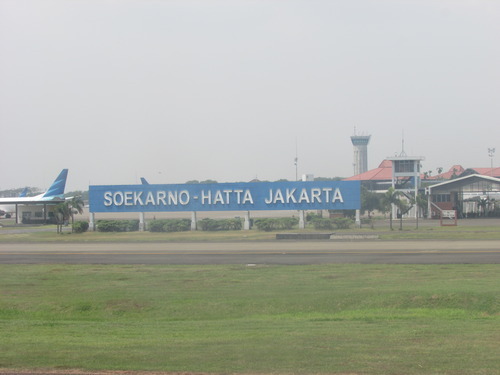 Walking out of the airport, I and my fellow English Teaching Assistants (ETAs) were greeted by palm trees, humidity, hordes of men eagerly offering their taxi services, and American-Indonesian Exchange Foundation (AMINEF) staff bearing gifts of bottled water and donuts. It was the welcoming of a lifetime. 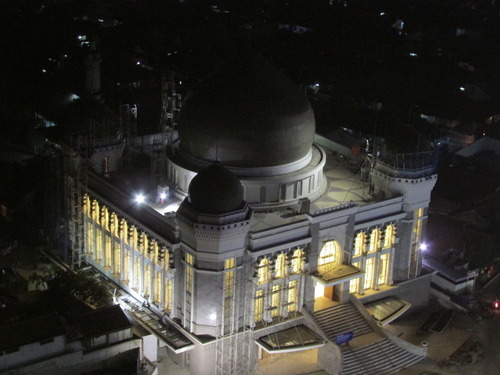 Our orientation is taking place in Bandung, a city in Western Java about 87 miles south of Jakarta. 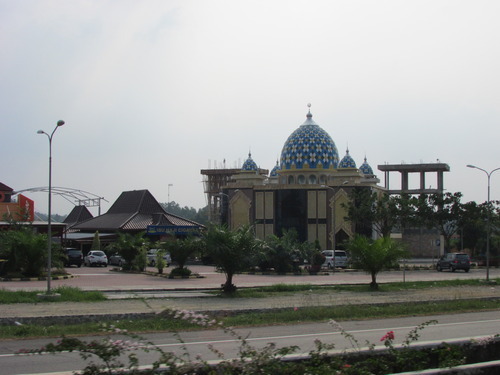 We were bussed there from the airport in Jakarta, past tiered rice paddies, mountains, mosques, and gas stations. The city itself initially seemed to consist mostly of motorcycles, though I am beginning to experience the liveliness beyond the busy streets. We are staying in the most luxurious hotel I have ever stepped foot in for orientation; the manager informed our group it is a six star hotel, something I was not aware existed until now. 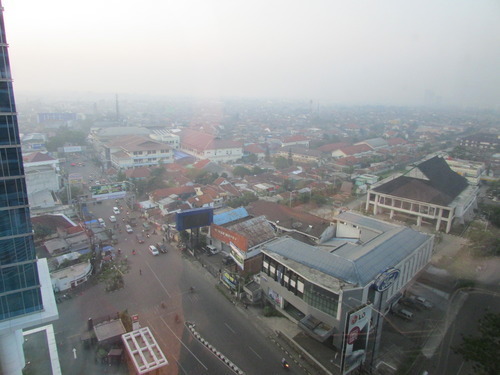 Due to a combination of fighting jet lag and having orientation classes all day, I have had few opportunities to venture past the hotel and attached mall and truly explore the “Paris of Indonesia,” but at least I have a room with a view of the bustling city below. 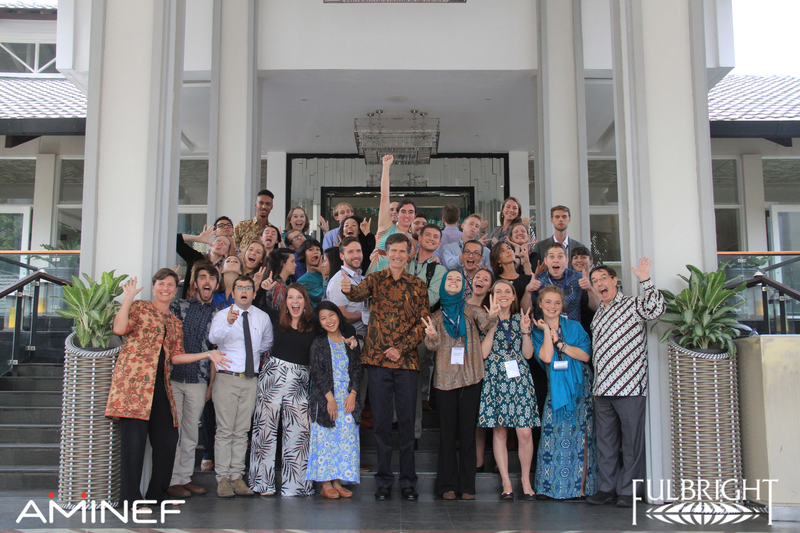 Orientation itself consists predominately of sessions focusing on teaching, navigating Indonesian culture, and Bahasa Indonesia. Bahasa is by far my favorite part of each day, in part because my animated classmates are so enjoyable to be around, and because I can see this training being most useful for me, personally. Having just acquired my New York State 7-12 ELA certification, I do have some experience teaching, and though I know my classes in Malang will be completely different from any classes I have had the opportunity to teach thus far, I have floundered in the classroom before and survived, and so I am confident I can do so again with only a reasonable number of tears shed. And though the advice from returning ETAs is honest and practical, I know no session will keep me from being hit over the head with culture shock—again and again and again—during my nine months in Indonesia. I must simply embrace it—and a few more tears—as part of the experience. I do believe, however, that learning the language will help make everything else about my grant just a little bit easier. The little Bahasa Indonesia I learned during my lunch breaks over the summer was not sufficient to place me any higher than the lowest level of Indonesian classes, but having even some exposure to the language has at least saved me the frustration of being entirely lost. The Bahasa instructor for my group is a wonderfully amusing man who goes beyond the text to provide us with regional nuances in Indonesia’s national language and answer our never-ending questions about everything from handshakes to motorcycles. 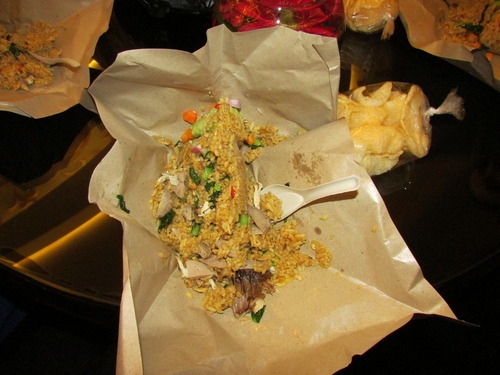 I hope that by the end of orientation I will have enough rudimentary Indonesian tucked up my sleeve to navigate necessary interactions at my site, but for now I still struggle to order my kopi (coffee) in the afternoon or acquire nasi goreng (fried rice) from a warung (food stall) for dinner. Perhaps most importantly, orientation has given me the opportunity to get to know my fellow ETAs. They are from all over the United States, and many have traveled to and lived in more places than I could ever hope to see. Intelligent and accomplished, I confess I was a bit intimidated by them at first, but they are far too welcoming for me to have remained that way for long. I don’t know that I have ever before enjoyed the company of such a large group as much as I do this one. The sound of laughter bubbling over from my fellow ETA’s is becoming just as familiar as the call to prayer from the mosque across the street from our hotel, and just as intertwined with my first impressions of Indonesia. It sounds a little bit like a new adventure, a little bit like a new place to call home.